Did you know you can use an AK-47 to jump start a car? When it comes to cars there are many fates worse than a dead battery, but few that are more annoying. The cause of a dead battery is usually something that can be attributed to a brain fart, like leaving an interior light on all night. Or it’s just due to owner laziness, because you can always pick up a new battery tomorrow, right? Fortunately bringing a dead battery back to life isn’t all that hard. All you need are jumper cables. If you drive stick then you just need a hill, or friends to give your car a push. But what if you don’t have cables, or what if you do but there are no other cars nearby? What if you didn't park on a hill or are a friendless loser with no one to give your car a shove? In those cases you’ll need to turn to some unorthodox methods, like the ones here. But first, a bit of warning. Some of these solutions should only be used in the direst of circumstances. Others might be illegal depending on where you live, unless your town is cool with you jump starting a car using a pair of AK-47s. In that case be our guest, but just be sure to exercise caution. Jumper cables and a friendly push are still the best way to get a car with a dead battery going again. However, should you get desperate these tricks should work in a pinch. Using a rope to start a car with a manual transmission can be done safely. But if you’re even considering doing such a thing, what’s the likelihood you have all the needed equipment on hand? you’re guaranteed to look cool if you start a dead car like this. Stringing a bunch of AA batteries together and using them to start a car sounds like the stupidest idea on Earth. But it actually works, provided you have the equipment to connect the batteries and the patience to let your battery charge. Like the rope trick, starting your car with a bunch of AA batteries will make you look like a badass. Starting a car using the 12v battery from a power drill is basically identical in theory to starting a car using a bunch of AA batteries soldered together. The difference is that this method is a lot easier. Of course you need to have a power drill on you and some patience, but it beats having to carry around a soldering iron in your glove box. 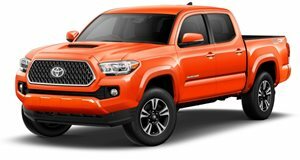 If you find yourself in the middle of a civil war with no jumper cables to start your Toyota Tacoma and government troops bearing down on you fear not. All you need to do is use what you have around you, say two AK-47s and some metal wire, to create some improvised jumper cables. MacGyver would be so proud of these guys.